Philosophy: A large portion of training and behavior problems stem from a breakdown in communication. The most common reason for bucking, bolting, rearing and other bad behaviors is confusion. Knowing this simple fact, I’ve spent decades developing a gentle approach to training which seeks to communicate in a way the horse can easily understand. This approach comes from years of studying equine behavior, and working with literally hundreds of horses. What to expect: You will be involved in your horse’s training. Each case differs based on the needs of the horse and the desires of the owner but I am not here to “fix” your horse. 99.9% of the time, a training issue cannot be solved without addressing the corresponding behavior in the handler/rider. Sometimes this simply means giving the handler/rider the tools to solve their own problems. Other times it means identifying and repairing bad habits or incorrect training of horse or handler. 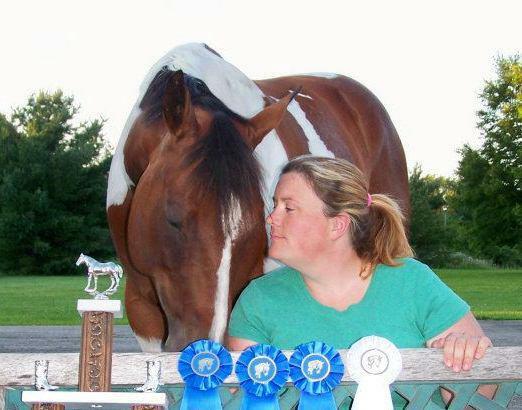 I have more than two decades of training and showing horses of all breeds and disciplines. I use the principles of classical dressage as the base of all ride work. I particularly enjoy working with young horses and focusing on excellent ground training skills as the foundation for building a willing partner. Please contact me and we can discuss how I can help you and your horse.